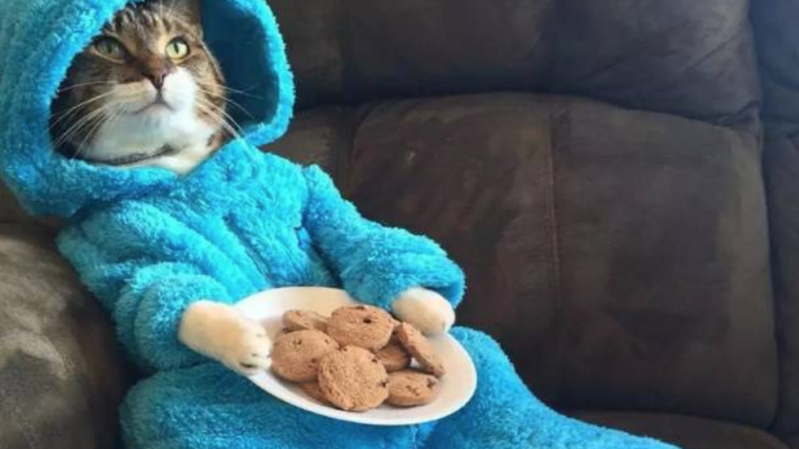 The U.S. embassy in Australia apologized on Monday after it accidentally sent out a photo of a pajama-clad cat dressed like the Cookie Monster. The embassy in Canberra sent out an email invitation titled "meeting" to an unknown number of recipients, the BBC reported. Attached to the email was a photo of a cat wearing blue pajamas to look like "Sesame Street" character Cookie Monster. The text next to the photo read "cat pyjama-jam." U.S. mission to Australia spokesman Gavin Sundwall told the Australian Associated Press that the email was a "training error" made by new staff testing out the newsletter platform. "Sorry to disappoint those of you who were hoping to attend this 'cat pyjama-jam' party, but such an event falls well outside our area of expertise," Sundwall said. The U.S. Embassy in New Zealand as well its Ambassador Scott Brown joked about the cat photo on Twitter Sunday.